I frequently use tomatoes to make a variety of dishes. 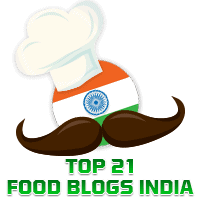 Elsewhere in this blog, you may like to see recipes for Tomato Thokku and Kara Chutney. This recipe was pointed out to me by my friend, Shobha Kumar. It was easy to make and turned out to be a delicious accompaniment for chappatis. In a bowl, mix together all the ingredients specified above to form a semi-thick batter. This is to make the dumplings. Keep aside. Once the tomatoes are nearly cooked, add the turmeric powder, chilli powder, and coriander powder, chilli powder, followed by sugar and salt. Tip * Remember to make the batter semi-thick. It should not be too runny or too thick, for that matter.